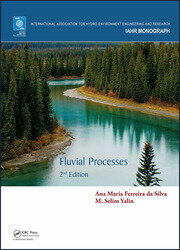 This is the second volume of a two-volume guide to designing, conducting and interpreting laboratory and field experiments in a broad range of topics associated with hydraulic engineering. 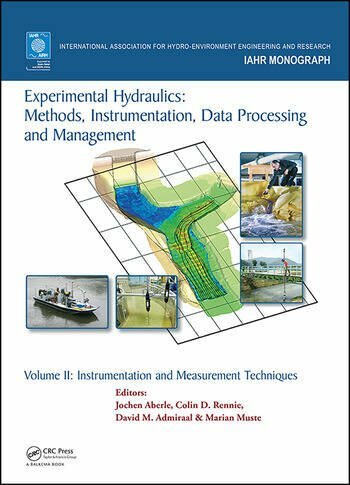 Specific guidance is provided on methods and instruments currently used in experimental hydraulics, with emphasis on new and emerging measurement technologies and methods of analysis. Additionally, this book offers a concise outline of essential background theory, underscoring the intrinsic connection between theory and experiments. This book is much needed, as experimental hydraulicians have had to refer to guidance scattered in scientific papers or specialized monographs on essential aspects of laboratory and fieldwork practice. The book is the result of the first substantial effort in the community of hydraulic engineering to describe in one place all the components of experimental hydraulics. 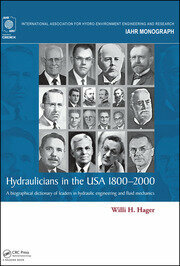 Included is the work of a team of more than 45 professional experimentalists, who explore innovative approaches to the vast array of experiments of differing complexity encountered by today’s hydraulic engineer, from laboratory to field, from simple but well-conceived to complex and well-instrumented. The style of this book is intentionally succinct, making frequent use of convenient summaries, tables and examples to present information. All researchers, practitioners, and students conducting or evaluating experiments in hydraulics will find this book useful. Dr. Jochen Aberle is Professor at the Technische Universität Braunschweig, Germany, and Adjunct Professor at the Norwegian University of Science and Technology. His research expertise includes river morphology, sediment transport, rough bed flows, flow-vegetation-sediment interaction, fluid-structure interaction, and experimental methods in the field and laboratory. Dr. Aberle has published more than 100 articles in peer-reviewed journals and conference proceedings. He is an Associate Editor of the Journal of Hydraulic Research, and was chair of the IAHR Experimental Methods and Instrumentation Committee. Colin D. Rennie is a Professor of Civil Engineering, at the University of Ottawa, Canada. He has expertise in areas of river morphology and engineering, environmental hydraulics, sediment transport, turbulence, and aquatic habitat. His research focuses on channel morphodynamics and mixing processes, utilizing high-resolution field measurements with acoustic instruments, laboratory physical models, and three-dimensional numerical modelling. He has published 150+ refereed articles, including papers in premiere journals such as Nature. He is an Associate Editor of the Journal of Hydraulic Engineering, and a past-Chair of the IAHR Experimental Methods and Instrumentation Committee. David M. Admiraal is an Associate Professor in the Civil Engineering Department at the University of Nebraska–Lincoln. His research expertise includes laboratory and field investigations of sediment transport, river hydraulics, and hydraulic structures. Most of his work incorporates experimental modeling. Dr. Admiraal has over 50 journal and conference publications in a wide variety of hydraulic engineering topics. He is actively involved in ASCE's Technical Committee on Hydraulic Measurements and Experimentation and has served as the chair of the committee. He has also acted as co-chair for two conferences on Hydraulic Measurements and Experimental Methods. Marian V. Muste is Research Engineer with the Iowa Institute of Hydroscience and Engineering, and Adjunct Professor in the Department of Civil and Environmental Engineering at the University of Iowa. Dr. Muste’s areas of research include experimental river mechanics (laboratory and field investigations), instrumentation development and implementation (image-, acoustic-, and laser-based), uncertainty analysis, and hydroinformatics. 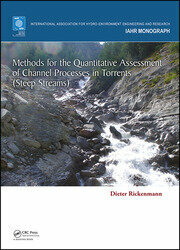 He is author or co-author of more than 185 peer-reviewed journal and conference papers and 75 technical reports. Dr. Muste is expert for UNESCO’s International Hydrologic Program and World Meteorological Organization Commission for Hydrology projects. He was chair for the Experimental Methods and Instrumentation, and is a former Vice-president of the International Association of Hydro-Environmental Engineering and Research.